Richard is a specialist practitioner who acts for regulators, businesses and individuals across the spectrum of regulatory crime. He has considerable experience in the fields of intellectual property crime, consumer protection, food safety, planning enforcement, fraud and confiscation. He also has a growing practice in health and safety work and is instructed by both the Health & Safety Executive and local authorities. "Extremely approachable, calm and knowledgeable". "He is very thorough and very realistic. He tells you what you need to know." "He is very approachable, outstanding in his knowledge and very impressive in court." "He has complete command of the court." "A fantastic advocate, who provides excellent legal advice". "He knows the law and has done some good cases". "He combines substantial skill with a reassuring, steady hand". "extremely organised with a vast technical knowledge". "frequently used on complicated and large scale matters". "very good on complex rules and regulations". "thorough, he has backbone so we rely on him to ensure the case is put forward in the best possible way". "incisive in his cross-examination…he will ensure the evidence is properly examined". "Very experienced in trading standards and highly thought of by local authorities". Richard is instructed across the range of contentious trading standards work, from large scale multi-handed cases to intricate product safety matters. 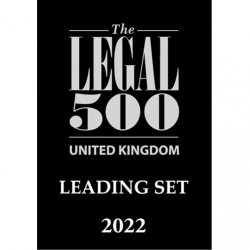 He has acted in two of the most notable prosecutions undertaken by a Trading Standards Service - Operation Augusta (“the world’s largest ebay fraud”) and SAS Fire and Security Systems (largest multi-agency prosecution by a local authority). Richard has also appeared in many other significant trading standards cases including Operations Bluechocmuffin, Olympic, Kangaroo, Bachelor, Mango and Pioneer. Richard has had conduct of numerous confiscation matters, advising from restraint pre-charge through to enforcement in default of payment. He obtained a number of the first orders made in favour of Trading Standards Services and Planning Enforcement Departments further to the introduction of the Asset Recovery Scheme. Richard is also experienced in matters relating to Professional Discipline. 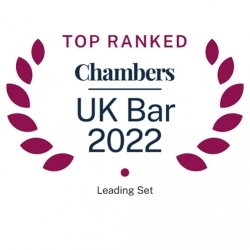 He has been instructed by the intervening agent to prepare reports for the SRA into the practices of intervened solicitors and has acted on behalf of the Law Society to respond to contested intervention proceedings. He has acted both for and against the SRA at the Solicitors Disciplinary Tribunal. Operation Augusta - regarded as ‘the world’s largest eBay fraud’. Global conspiracy concerning the sale of counterfeit golf clubs, clothing and accessories. Richard advised and appeared on behalf of Trading Standards for over 8 years, from the execution of the first warrants in December 2006, through the extradition of three defendants from Thailand (the first undertaken by a local authority) until the conclusion of proceedings in Spring 2015. Operation Olympic (R v Brayford & Others  1 Cr. App. R. (S.) 107) - the ‘Persil Plot’ - an attempt by 8 defendants and others to flood the market with 25,000 kilos of counterfeit washing powder smuggled into the UK from Shenzen in China. Guideline case on sentencing Trade Marks Act offences. General Healthcare Ltd. (No.2) - counterfeiting of rival pharmaceutical company’s products. Complex case involving historical licence agreements, the relationship of civil and criminal law and the jurisdictional reach of the Trade Marks Act. R v Morris & Others - ex-world champion trial biker sold counterfeit goods on ebay through accounts registered in fictitious or celebrity names before channelling the proceeds through the bank accounts of his mother, sister and her then boyfriend. First money-laundering prosecution brought by Lancashire Trading Standards Service. Simhani and Cheung - common-law husband and wife sold hundreds of thousands of pounds worth of counterfeit children’s shoes on ebay and through other outlets. Case complicated by issues of commercial sensitivity relating to supply chain of legitimate shoes in China. SAS Fire and Security Systems Ltd, Diaz, Black and McVey - prosecution of notorious company and its directors for engaging in unfair and misleading commercial practices (contrary to the Consumer Protection fromUnfair Trading Regulations 2008), having sold approximately £18 million worth of security systems on false pretences to the elderly and vulnerable. The company made in excess of 40 million cold calls and pitched to 41,000 home owners in two years of trading, before being wound up in the public interest. The unlawful conduct of the company stretched across the length and breadth of the UK. Focus (DIY) Ltd. v Hillingdon London Borough Council  All ER (D) 117 - a ‘seven-question’ appeal by way of case stated arising from convictions for selling ladders that failed to comply with British Standards - one of the last known appeals concerning s.1 of the Trade Descriptions Act 1968. PMS International Group Plc - importer of toys from China alleged to have sold goods with excess/dangerous levels of heavy metals in the paint. Aslam - prosecution of former aide-de-camp to the President of Pakistan turned car dealer for engaging in misleading commercial practices, fraud and forgery, having altered the mileages and service records of cars he sold. A Company Ltd. – advised company investigated for alleged failures by their domestic cabinet heaters against the General Product Safety Regulations. Complaints generated by corporate competitor in various local authority jurisdictions. Office Holdings Ltd. - breaches of Health and Safety at Work etc. Act 1974 relating to an incident where a customer fell through an open hatch in the retail area of one of their ‘Office’ shoe shops. Rai - following a fire at a Costcutter store, Fire Safety Officers discovered an unlicensed house in multiple occupation in the upper floors of the building which had no fire safety measures in place. Greenwich Inc Limited - breaches of HSWA 1974 in respect of dilapidated and dangerous kitchen conditions in one of the company’s restaurants within the 02 complex. B&Q Plc - breaches of s.2 of the HSWA relating to an unsafe system of work involving a pedestrian operated fork-lift truck which crushed the operator against a warehouse wall. Kwik-Fit (UK) Ltd. - failing to grease the wheel bearings in a replacement wheel resulting in the supply of an unsafe motor vehicle which caused a multi-car accident on the M40 motorway. Portland Place - instructed to advise LFEPA in respect of proposed prosecution of several individuals alleged to have obstructed Fire Safety Officers during the course of their inspections at the offices used by ‘Lord’ Davenport to perpetrate a multi-million pound advance fee fraud. JD Sports Plc - prosecution of company for repeatedly failing to take measures to prevent the escape of commercial waste. Skerry - farmer processed in excess of 120,000 chickens per year in a makeshift unauthorised slaughterhouse with virtually no hygiene measures in place. Said by the Food Standards Agency to be one of the most serious cases of its kind. Shahi Nan Kebab - prosecution of owner of kebab shop for causing the most harmful outbreak of salmonella poisoning in London since the mid-1990’s. JD Wetherspoon Plc - prosecution of well-known pub chain concerning unhygienic kitchen conditions. Piers Rance  Crim. L.R. 74 - property developer demolished a building in a conservation area despite having been informed by the LPA that he would not receive Conservation Area Consent to do so. Fined a record sum in the Crown Court, reduced on appeal to what remains the highest fine for an offence of this nature, his claims to impecuniosity having been rejected by the Court of Appeal. Shelfside Holdings & Best - prosecution of ‘the Gypsy Millionaire’ and his company for long-standing planning breaches in the yard of one of his residential caravan parks. R & H - two prospective property developers cleared a large swathe of green belt land of trees protected by an area Tree Preservation Order, prior to submitting a planning application to build 250 houses. FL Trading Ltd. and Lumba - through its sole director, company carried out internal demolition work at one of only four remaining listed cinemas by the important cinema architect, Robert Cromie, thereby affecting its character as a building of special architectural and historic interest. Contributor to ‘The Regulator’ by Kingsley Napley, Local Government Lawyer and TS Today. 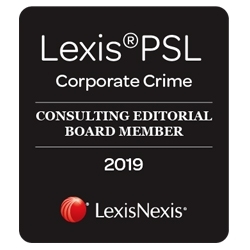 Richard is a consulting editorial board member for Lexis PSL on Corporate Crime. 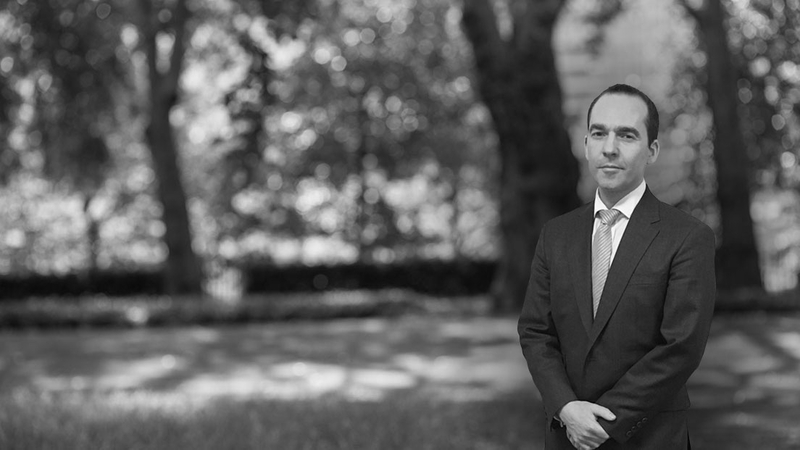 Richard is appointed to the Unified List of Specialist Regulatory Advocates in Health and Safety and Environmental Law and is approved counsel to the London Fire and Emergency Planning Authority.